It's the second year that the independent film and music festival is to have an official centre, envisaged as a networking space for festival delegates and guests, where filmmakers and their audiences can mingle. The centre will also be a venue for talks, workshops, music performances and some screenings. The Blacknight Festival Centre will be in The Village Hall on St Patrick's Quay, downriver from The Gate Cinema, and across the bridge from the city's main thoroughfare, Patrick Street. It's a café and vintage shop, with two spacious function rooms upstairs, suitable for the variety of IndieCork talks, screenings and workshops. "It's a fantastic venue that is creating exciting opportunities in Cork right now", says Úna Feely of the festival's organising committee. "It could hardly be more suitable for us". 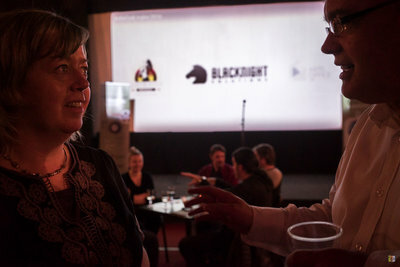 "The addition of the Blacknight Festival Centre in 2016 brought a new dimension to IndieCork", explains Úna. "We've taken what we learned last year and found a venue which is ideal for the kind of collegiality we want to create around IndieCork. "We've put a lot of work into the programme this year, sourcing films from Ireland and throughout the world. We're excited to see how our audience will react to the programme, and hear their feedback over coffee at The Village Hall". "It's a lovely festival, intimate and friendly, but with a strong artistic voice, and fiercely independent", says Neylon. "We're a small Irish company with a loud voice on our chosen stage, so naturally these are values we relate to." "We had a great experience as sponsors in 2016, and we are delighted to be back and looking forward to an exciting festival programme", he said. 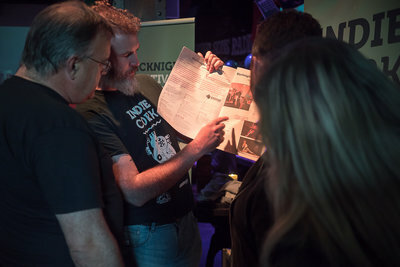 Blacknight will also contribute to the festival programme, hosting a live workshop titled 'How to Make a Website in 20 Minutes'. It follows on from a similar seminar given by the web hosting and domain names company last year, and is designed to show small independent enterprises like filmmakers and artists how to take ownership and control of their own online space. "Creative artists are not that different to SMEs in general", observes Neylon, "and many of the same rules apply when it comes to promoting one's work online. That's where we come in". 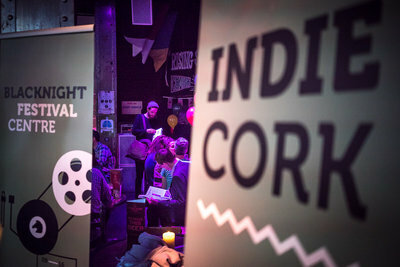 Now in its fifth year, IndieCork is Ireland’s independent film festival, committed to supporting young and emerging filmmakers, and championing cinema that engages with social, political and cultural matters. 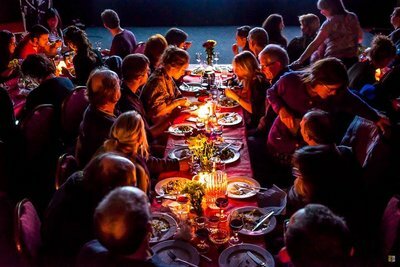 The overlap between music and cinema is a particular interest for the curators and the programme features a number of musical events as well as items such as the 'Film Feast' which combines a classic film with a culinary experience.